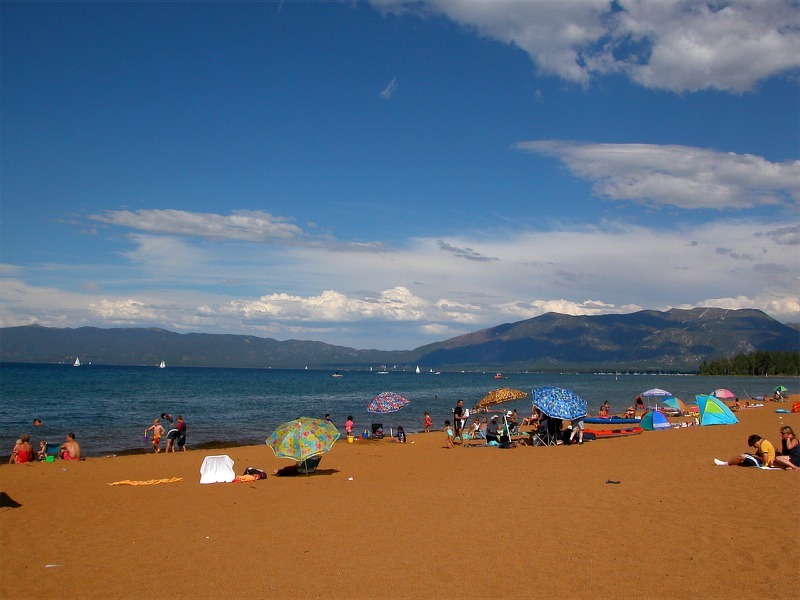 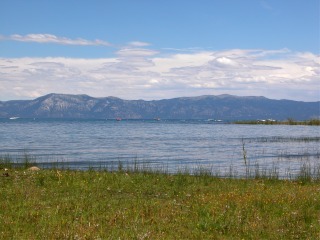 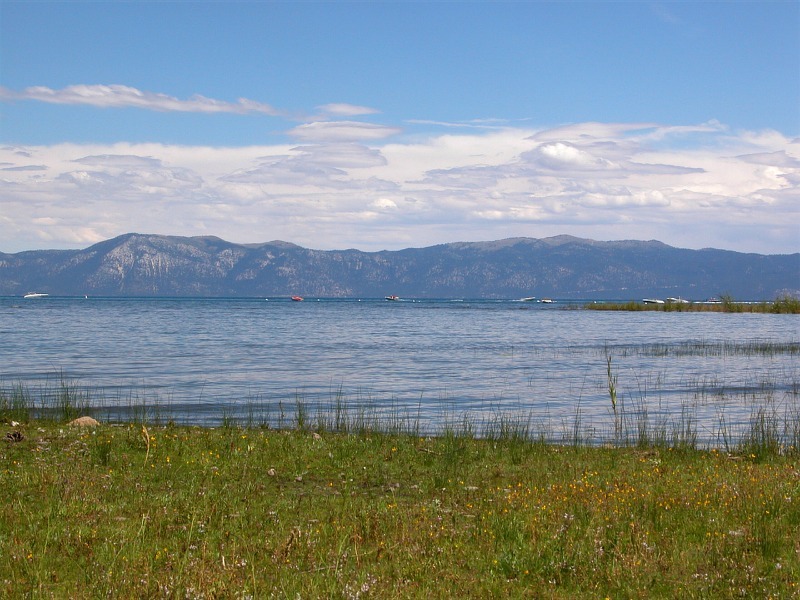 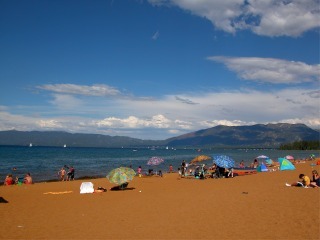 click photo to enlarge Lake Tahoe is a natural lake surrounded by mountains. 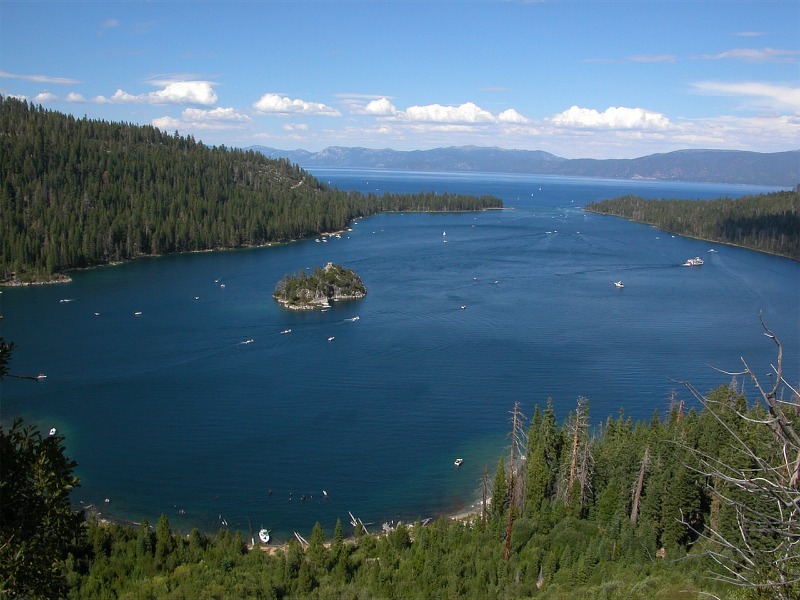 It is the second deepest lake in the US and 10th deepest in the world with an average depth of 1000 ft.
click photo to enlarge The lake is 22 miles long and 12 miles wide with a shoreline of 72 miles. 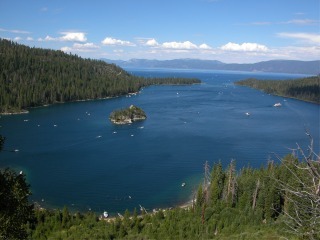 click photo to enlarge This is Emerald Bay and has the only island on Lake Tahoe. 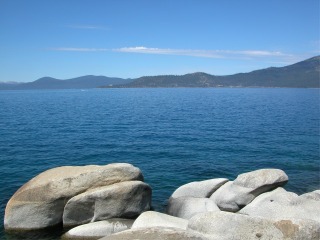 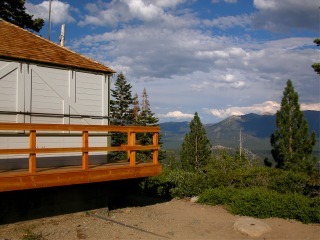 It also contains a California State Park It contains Emerald Bay, Eagle Falls and Vikingsholm Castle. click photo to enlarge We found this fire tower up in the mountains over looking the south shore of lake Tahoe.